IIFT 2018 was similar to IIFT 2017. The difference was that GK was a little easy, with plenty of questions coming from traditional trade and business area. Most students have found the LR section quite difficult, and DI was quite calculation intensive. So LRDI section was the toughest of all. QA was moderate, while VARC was also moderate, with the questions RC being quite straight forward. The paper had almost the same difficulty and pattern as the one that came in 2017. The overall difficulty level of the paper was on the higher side. So, now we come to the main question: who is likely to do well in this exam? The answer is that the ones who are good in vocab and grammar are likely to do well in this paper. The VA section was vocab intensive, with more than 8 questions coming directly from this area. Also, students who have done well in Quant are likely to cross the overall cutoff. You can go through the broad question and section wise analysis in the tables below. 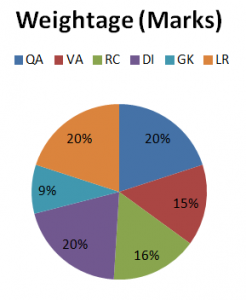 IIFT paper usually has four sections: QA, VARC, LRDI, and GK, with VARC having two subsections: VA and RC, and LRDI having two subsections: LR and DI. There is usually a combined cutoff for LRDI, which is taken as one section. Same is the case with VARC. 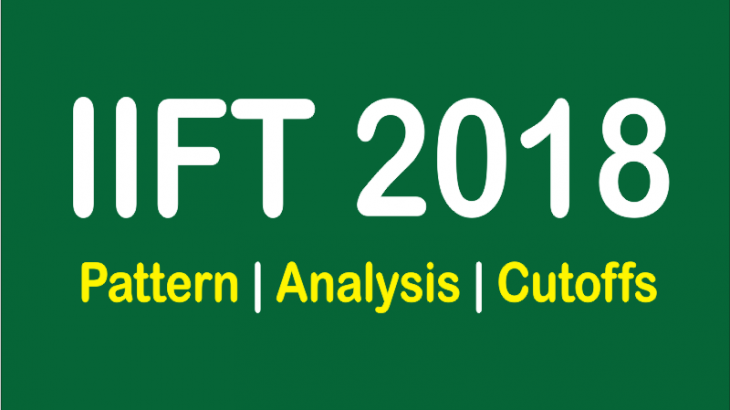 In IIFT 2017, however, there was a change in the marking and cutoff scheme. The two separate subsections had a separate cutoff, something which many students had failed to take note of. IIFT 2018 question paper was divided into 6 sections. Each section had individual cutoffs. Also, each section had a differential marking system. The total maximum marks of the IIFT 2018 paper was 100. Below is the breakup of different section marks wise. The overall cutoffs for IIFT this year should be between 33 and 35. It is important to note that the candidates need to clear cutoffs in each section along with the overall cutoffs in order to fetch the GDPI calls. Historically, IIFT gives good weightage to written score in its final selection process. Hence, a candidate getting higher marks than the cutoff marks stands a good chance to convert the calls. A score of 35+ is likely to fetch a call from IIFT Delhi, while a score of 32-33 is likely to fetch a call from IIFT Kolkata. The table below has categorized the questions from IIFT 2018 paper into easy, average and difficult categories. The cutoff for a particular section is usually the no of easy questions in that section multiplied by the marks per question for that section. Though the sectional cutoff for IIFT is always on the lower side, the overall cut off is not the sum total of sectional cutoffs, but a figure significantly higher than that. Therefore, it is very important for the students to maximize their score in at least sections in order to clear the overall cutoff.